Fruit smoothies are a healthy and easy way to get a boost of energy along with the taste sweetness, without feeling guilty. There are so many combinations of fruits to try when putting together these delicious and refreshing drinks. Packed with loads of nutrients, minerals, and vitamins, smoothies are great any time during the day from an early morning breakfast on the go to a bedtime snack. The following smoothie recipe is no exception when it comes to fresh, wholesome ingredients as well as simple and quick preparation. 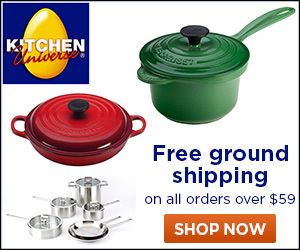 It is best to prepare this recipe using fruits that are well ripened. Chill beforehand if you prefer a nice cold and refreshing drink. You can even add a few ice cubes if you desire! 1. Combine all ingredients into a blender and blend well until smooth. 2. Add milk and blend until you get the desired consistency. Enjoy! 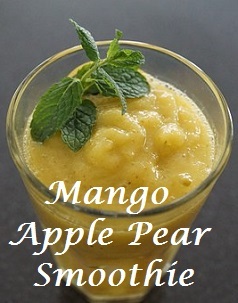 Have you ever tried a mango apple pear smoothie? Love Mango smoothies but do you use a whole Mango? Cause that seems like a lot of Mango in one smoothie...not that I am complaining! It always takes me like 20 minutes to peel and cut a mango cause that damn hard center! We used one medium sized mango. I think that if we used anything less, flavors from the apple and pear may take over. Oh yum! I love smoothies. I'm sure this would be delicious. That's an interesting combination that I never thought to try, looks and sounds delicious! Sounds so yummy. I love smoothies. Thanks for sharing this recipe, i will definitely give it a try. I am a huge smoothie lover! This looks so delicious. I need to try it out asap. Sounds YUM! Mangoes are my favourite. I would love to try this. 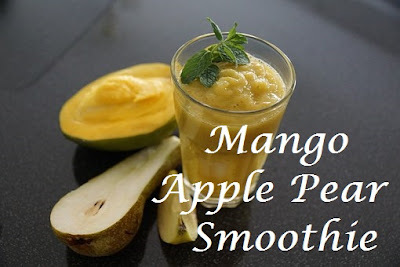 I have not tried the combination of Mango & Pear. I'm planning to do this for NY. Looks super easy to make! I'll have to try it next time I make a smoothie! I think smoothies are awesome! They're healthy as well. I am loving this recipe! Thanks for sharing it with us. Mangoes and apples are two of my favorite fruits. I'm a smoothie fanatic and have yet to try a pear one. I'm adding this to my "must try" recipe list. I'll let you know how it goes. This looks so delicious, I'll have to make this sometime! I am a smoothie fanatic always looking for new recipes! This sounds delicious and I can't wait to try it in 2017! I wanted to start having smoothies for breakfast and you just gave me a recipe! Great post and opening my eyes to all types of smoothies.